At once comic in caricature and surprising in subtlety, under milk wood exposes the dirty knees of over 50 characters in the salty fishing town of Llareggub, Wales. Originally a play for voices, Dylan Thomas poem is a vivid mix of cynicism and lyricism, providing intuitive entry into a small, sad, strange and familiar town. 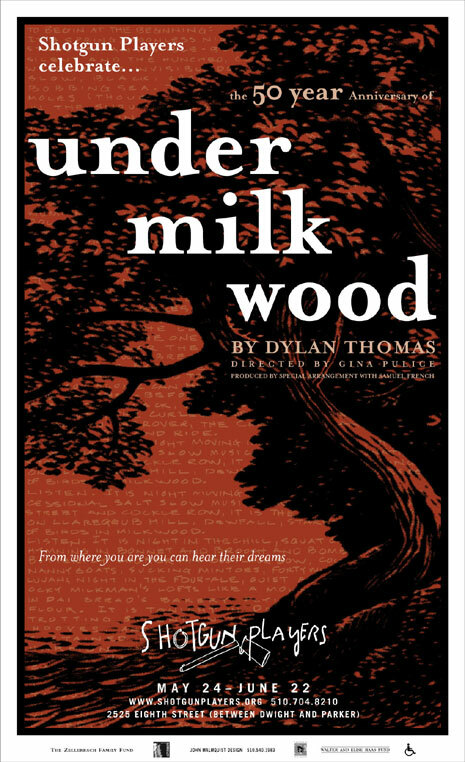 Dylan Thomas died shortly after the first public performance of under milk wood. One can muse about the connection between his untimely death and the unsettling end of the play. Nothing is neat and pre-packaged in its conclusion  rather the audience is given freedom to keep imagining the lives of the many townspeople and to perhaps fashion an altogether different ending. It is precisely this off-kilter vibration that colored Thomas own turbulent life. under milk wood illustrates a typical day in the coastal Welsh town on Llareggub, from the pre-dawn nightmares of Captain Cat, who hears the hungry souls of his drowned sailors begging for contact with life on Earth  to the dusk-tinged song of Polly Garter, nursing her babies and her memories of lovers past. We are warmed by the burning and nascent love of Mog Edwards, the draper, and Myfanwy Price, the dressmaker. We are frozen by the scheming of Mr. Pugh (who has hopes to poison his wife), and secretly wish that Bessie Bighead would find true love. 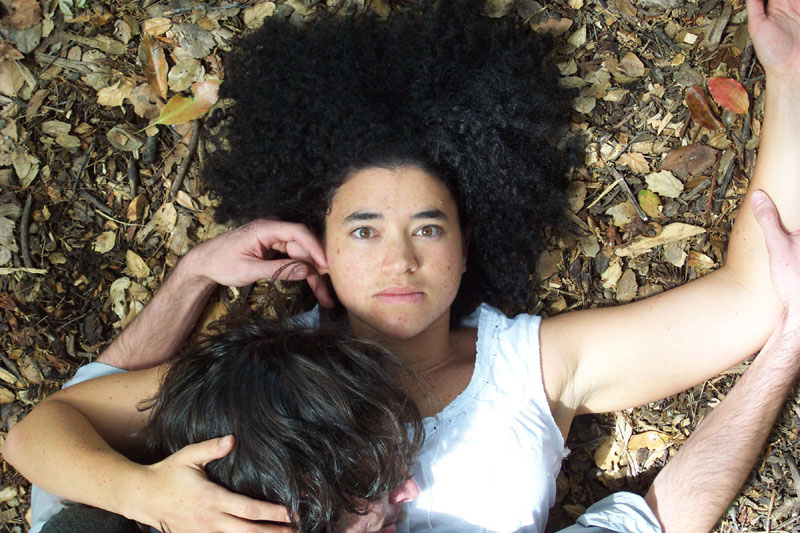 Director Gina Pulice makes her first foray onto Shotguns mainstage, having spent the last few years developing and directing for Shotgun Theatre Lab. Pulices take on under milk wood pays homage to its essence as a radio play. Her direction places its focus on the unmasking of theatrical device, which the radio play is constantly at liberty to do. This production marks the second Shotgun collaboration between Pulice and Movement Director Amy Sass, who first worked together on Jungle Book. Company member Marilyn Stanley will Assistant Direct. Company Artistic Associate Brent Rosenbaum, last seen in Albees The Play About the Baby, takes part in the eight-person ensemble, along with Gwen Larsen, Sean Tarrant, Rami Margron (last seen in Thessaly Lerners The Canadian Play for Shotgun Theatre Lab), Jeffrey Hoffman, Desiray McFall, Gary Dailey and Lisa Patten.